Hadrat Hujjat ibn Hasan al-Askari(A.S.) the Twelfth Holy Imam ,Al-Mahdi, Al-Muntazar, Qa'im, Baqi'atullah was born on 15th Shaban in 255 A.H. in Samarrah(Iraq). 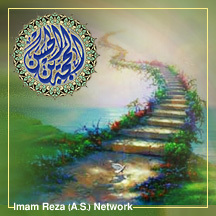 The Reappearance and Second Coming of Imam Mahdi(A.S.),"the Ultimate Savior and Redeemer of Mankind" and "the Only Hope for Humanity" will save the world from all the evil forces and will grant salvation to humanity. The Qur'anic prophecy of the inevitable victory of Islam will be realized following the advent of Imam Mahdi(A.S.) who will fight the wrong,remedy the evils and will establish a "New World Order" based on the Islamic teachings of justice,virtue and goodness.Thereafter,there will be only one religion that is Islam and there will be only one "Universal Islamic Government" in the world heralding an era of peace,prosperity,eternal bliss,happiness and universal justice. On this Auspicious and Solemn Occasion we extend our Heartiest and Happy Greetings to all the peace-lovers and justice seekers in the world.